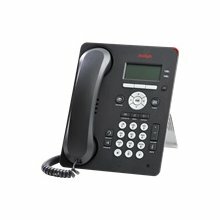 The Avaya 9630 IP phone was specifically made for essential telephone users such as salespeople, relationship managers, attorneys, etc. The 9630 features 6 LED line appearance buttons, LEDs built into buttons such as mute, message, and headset provide clear indication to the user, and provides a dedicated call forward/mobility buttons which provides direct access to Communication Manager mobility features. The 9630 H.323 version is supported by Avaya Communication Manager R3.0 or later and Avaya IP Office R6 or later. The SIP version is supported by Avaya Communication Manager R4.0 or later and Avaya IP Office R6 or later. Specifically made for essential telephone users such as salespeople, relationship managers, attorneys, etc.